temples forehead hands inner arms and neck. 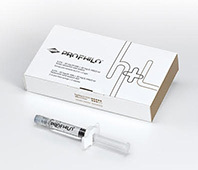 As an injectable product, Profhilo is based on hyaluronic acid (HA) – the same substance used in dermal fillers. However, Profhilo is not a filler. After injection, it only remains in place for a relatively short time (up to 28 days). It is then fully, naturally and safely broken down by the body and eliminated. While in place, it stimulates and significantly improves the body’s existing, natural processes for regenerating skin tissue. 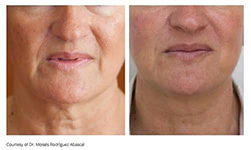 Profhilo is an excellent option for the early prevention of lines, wrinkles and loss of volume. From the age of about twenty, each year we lose around 1% of the collagen and elastin from our skin tissue. 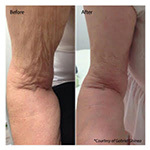 Collagen and elastin are the building blocks that give the skin its plumped-up, healthy appearance. As a result of this gradual depletion, the skin becomes thinner and as the time goes by it has less and less of its youthful ‘bounce’. Prevention, of course, is always better than cure. So taking action early helps to keep lines, wrinkles and loose skin from forming too soon, and may help treatment results to last longer. And by maintaining good skin health, it also means you’re likely to need fewer treatments in the future. You should notice the results of the treatment – increased firmness, elasticity and an overall improved quality of your skin – lasting around six months. However, other factors can affect the results, including the degree of correction needed, your age and lifestyle and your skin’s natural ageing process. For most patients, we recommend an initial course of two treatment sessions, with an interval of one month between sessions. 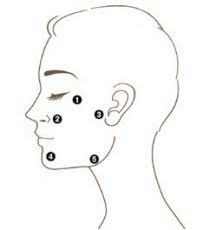 We may then recommend top-up and maintenance sessions, depending on your body’s response to the initial treatment. Are there any side effects? If there are any side effects, such as erythema (redness), pain, itching, discolouration or tenderness at the injection site, these should be mild and will quickly fade. For more information about whether you can have the treatment, the costs or to book an appointment give us a call on 07405503752 to speak to one of our nurses.